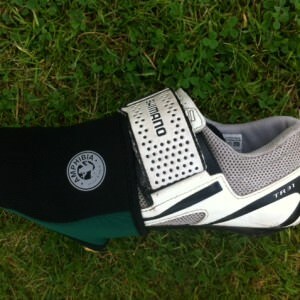 CYCLING TOE COVERS – Ever had cold toes when cycling?? 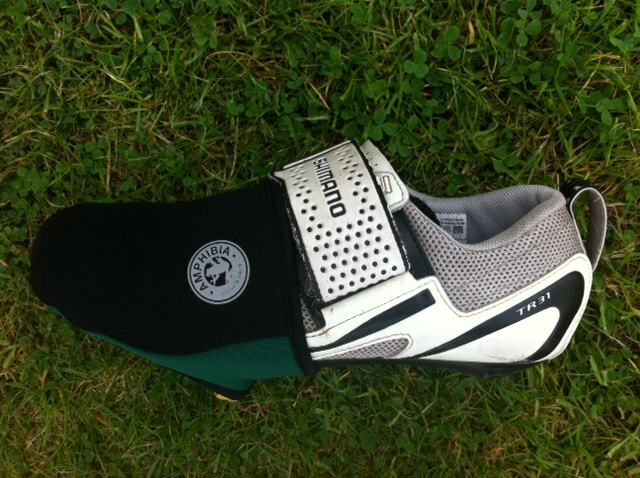 Well never again – check out our neoprene toe covers for cycling shoes. 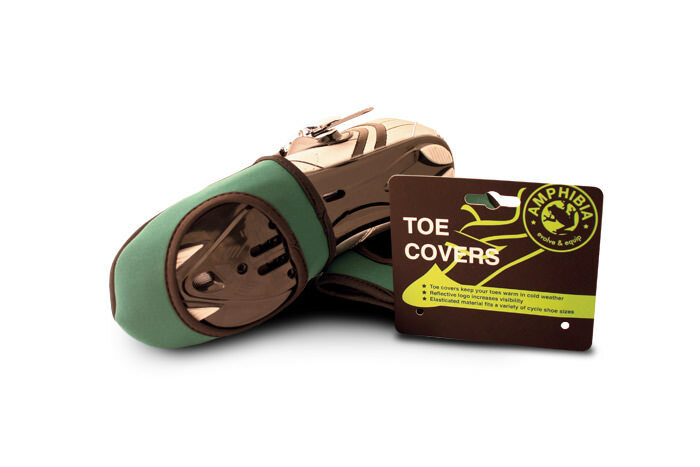 Keep your feet warm on long rides or in cold conditions. 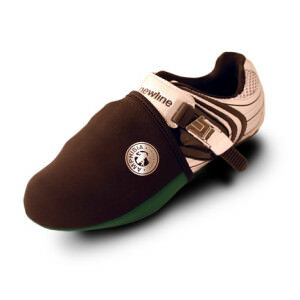 Also a good alternative to heavy overshoes on high intensity rides. 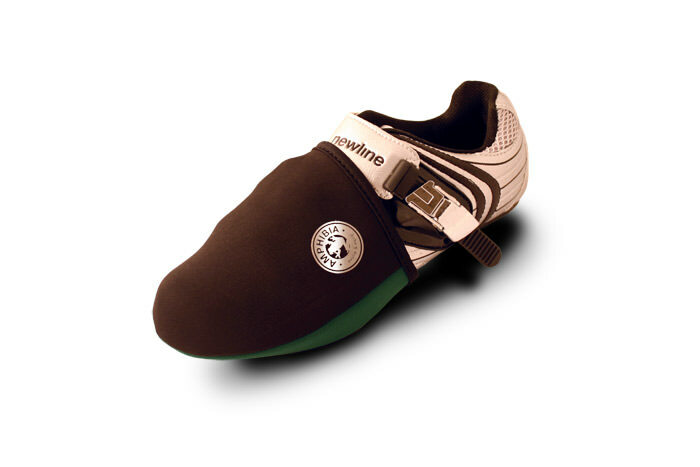 These are also great to wear during races or even triathlons as they are light, flexible and keep your feet warm even without socks. 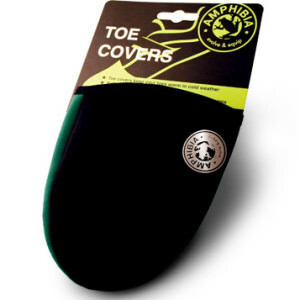 Cycling toe covers – elasticated material fits a wide variety of cycling shoe sizes. 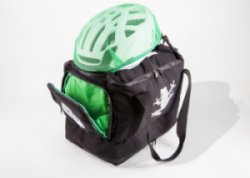 Colour is black with a dark green underside and white logo. 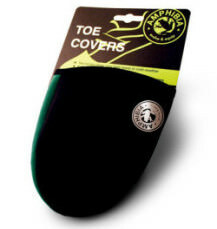 Our Toe Covers come in one size at the moment and whilst they stretch slightly they wont fit all shoe sizes. 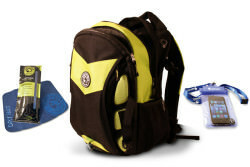 The best fit is on UK sizes 7 – 11. 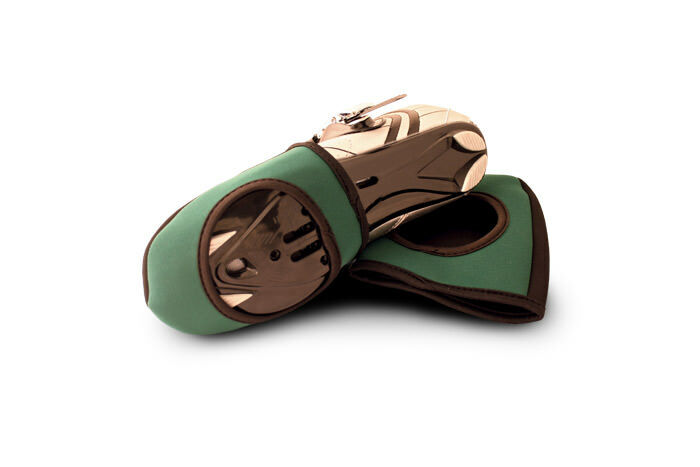 They can be worn during Spring and Autumn but are flexible enough to be worn year round. 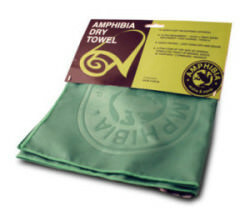 Amphibia’s Cycling Toe Covers keep your toes warm and snug in winter but dont overheat in summer and can keep your feet dry during summer showers. They are nearly as convenient as our multi-functional scarves! During a triathlon every second counts so a lot of athletes dont wear socks. 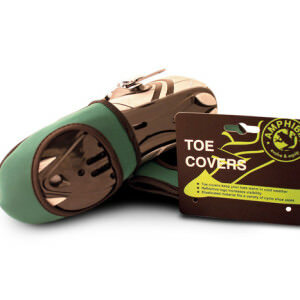 However this means after a swim that you can get cold feet, especially if it is raining during the cycle. 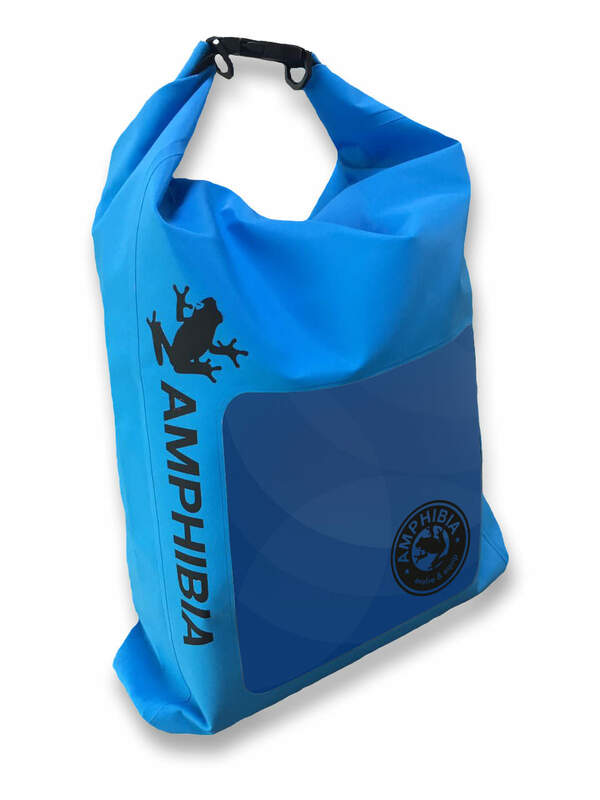 By wearing Amphibia cycling shoe covers this will prevent wind chill and help keep some of the water out. 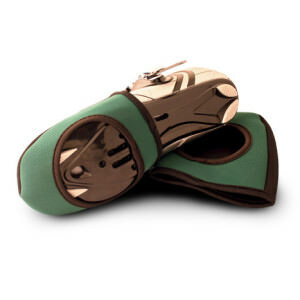 They are also flexible enough to not get in the way when mounting / dismounting and with a large hole on the underside they will easily clip into cycling cleats.